When rumors of "Google Shopping Express," a same-day shipping service allegedly already being tested by Google employees, first hit the Web earlier Tuesday, most people missed the most glaring element of whole plan: Endeavors like this are insidiously difficult to pull off. Indeed, several companies—mostly online retailers—have dabbled in same-day delivery service, but no one's really figured out how to do it effectively at a large scale. First, some background. An unnamed source told TechCrunch that Google Shopping Express will be a subscription-based service like Amazon Prime, but will be $10 to $15 cheaper per year. It will allegedly offer same-day delivery from brick-and-mortar retail stores such as Target, Walmart, Walgreens, and Safeway, but TechCrunch didn't say how much extra each delivery would cost, if anything. From TechCrunch's description, Google's service sounds similar to eBay Now, which uses couriers to buy items from retail stores and deliver them to customers. But eBay Now is only available in three cities (San Francisco, New York, and San Jose), and is not profitable despite the $5 delivery cost. As the Wall Street Journal reported, eBay pays couriers $12.50 per hour, plus 55 cents per mile driven, so there's a high up-front cost just to offer this kind of service. Walmart has tested a similar service in other cities, including Philadelphia, Northern Virginia, Minneapolis, and San Francisco. However, the retailer has one big advantage in the form of existing stores, which could double as warehouses for same-day delivery. Still, it's unclear whether Walmart is making money on the service. Even Amazon, which has been in the same-day delivery business since 2009, hasn't been able to expand beyond 10 major U.S. cities, all of which have morning deadlines for same-day shipping orders. Google didn't confirm or deny the rumor, but sent the following statement to PCWorld: "We are working to build a delightful shopping experience for users, in close partnership with retailers, and to empower businesses of all sizes to compete effectively. We will continue to work toward providing technology, tools, and traffic to help power the retail ecosystem but have nothing to announce at this time." Same-day shipping has long been a holy grail of sorts for online shopping, in both its desirability and its unobtainability. If Google actually has intentions to enter the space and is somehow able to pull it off, Google Shopping Express could provide auxiliary benefits to several of the company's myriad services. A same-day delivery service could help expand the presence of Google Wallet as an online payment system, which would obviously increase Google's Wallet-related revenues. Google also recently purchased a company called BufferBox, which offers delivery lockers for packages similar to the Amazon's lockers in Staples retail stores. Rumored retail stores from Google could make for a handy pick-up point as well, which might be easier to pull off than direct delivery. Tapping more heavily into e-commerce could also give Google another revenue stream while the company figures out how to monetize mobile ads, which command far less of a premium than their desktop counterparts. It might also drive more eyes to Google Shopping, which changed its format in 2012 to only displaying listings that sellers have paid for. 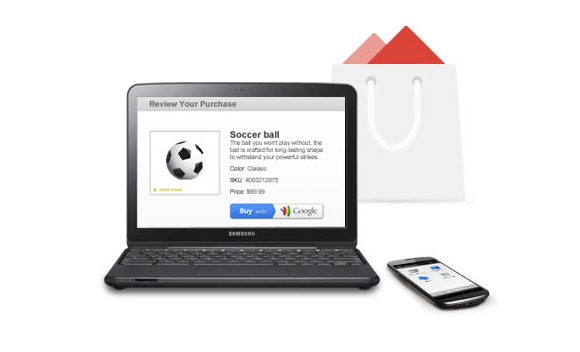 If more shoppers are buying from Google Shopping listings, sellers will no doubt buy listings in greater volume. That's a win-win scenario for Google, especially if the people buying from those listings do so using Google Wallet. In lieu of actual details, however, we have to remain skeptical, and assume this rumor is little more than another fleeting experiment in what has proven to be a very tricky business.